There's not much to celebrate at the moment but one piece of good news caught the attention of ALARM: potholes in local roads are not getting worse! A report on local road conditions shows the increase in local authority highway maintenance budgets is stopping an historic decline. However, the bad news is that the increased investment remains less than what is needed to maintain local roads to target conditions. This year's Annual Local Authority Road Maintenance survey by the Asphalt Industry Alliance (AIA) reports that, for the second constructive year, local authorities' highway maintenance budgets have increased by almost 20%. For councils in England and London this included a share of £420 million additional funding (from the November 2018 Budget). Rick Green, Chairman of the AIA, says: "there are glimmers of hope but, while overall highway maintenance budgets are up, there is still a big discrepancy between the haves and have nots. Some local authorities received the equivalent of more than £90,000 per mile of their individual networks, while a third continue to struggle with reduced budgets; several having less than £9,000 per mild to maintain their local roads." Nicholas Lyes, Head of Roads Policy at the RAC says: "the results from this year's survey chimes with our breakdown data, which suggests the overall state of the UK's roads is not getting any worse. But this is hardly positive - it remains the case that a driver today is still more than twice as likely to breakdown as a result of a pothole than in 2006." 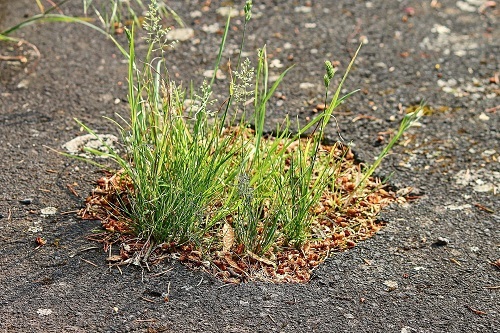 "Thankfully, more money appears to be getting through to councils to allow them to improve poor road surfaces, but it's simply not enough... just two pence per litre collected over five years would raise nearly £5 billion. in addition to what is already allocated to councils." Well-managed highway infrastructure was published on 28 October 2016 and authorities had until October 2018 to adopt a risk-based approach. We will be reporting on progress of this new approach in a future edition of stronger, ALARM's member journal.